Jack Knox is president of SMACNA National and also president of R.F. Knox Company, in Smyrna, Georgia. 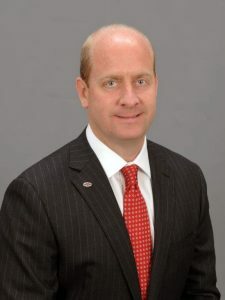 Jack served on SMACNA’s Board of Directors from 2009 to 2014 and then moved on to the Executive Committee where he took office as president in October 2017. Currently, he oversees SMACNA’s new strategic plan that is addressing how to attract more quality people into our companies and local unions. An advocate for positive legislative change, Jack has been a longtime member of the SMACNA’s legislative and political action committees. A member of SMAC PAC donor clubs for almost 20 years, he currently serves as co-chair of SMAC PAC’s top donor club, the Political Pacesetters Council. Active in the Georgia-SMACNA chapter, Jack served as president, vice-president, secretary-treasurer, and on the board of directors. In addition, he was on the legislative, negotiating, education, and joint labor/management committees and a trustee of the Local Industry Fund and Local Pension Plan. The fourth generation to run his family business, Jack grew up working in his father’s sheet metal shop. He officially entered the industry as an estimator, two days after graduating from Auburn University. When his father, Fred Knox, retired in 2007 Jack became president of the 103-year-old firm. Many R.F. Knox projects dot the Atlanta skyline, from the Peachtree Plaza skyscraper and Georgia Dome to the Georgia State Capitol and Mercedes-Benz Stadium, home of the Atlanta Falcons.